This registration is for active chapter members that will be volunteering. Join USGBC-Illinois for an event hosted by Sebert Landscape. Begin the evening with a panel discussing the owner/client perspectives throughout the pursuit of LEED certification for their building and business. 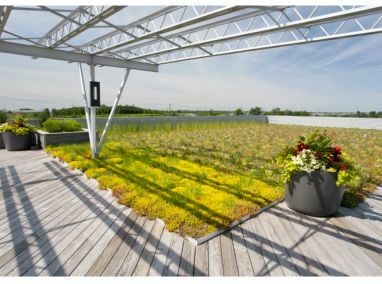 Tour Sebert Landscape's LEED Gold corporate office and learn how building and its commitment to green have benefited the organization. We will close the evening with cocktails on the roof deck! This program will qualify for 1.5 AIA and GBCI CE hours.